I have a Kenwood Excelon DDX393 and a Maestro RR. I used both of these in my previous car a month ago so I know they work fine. I have spent most of the evening working with this and I am unable to get it working. It seems that the instructions provided on the site when I input all my info is incorrect. There is no Bluetooth module under the passenger seat, it plugs into the back of the radio and it does not match the pinout, so I was unable to bypass the Bluetooth per the instructions. When researching online, I saw that it may not be needed to bypass any longer, but I am not sure. 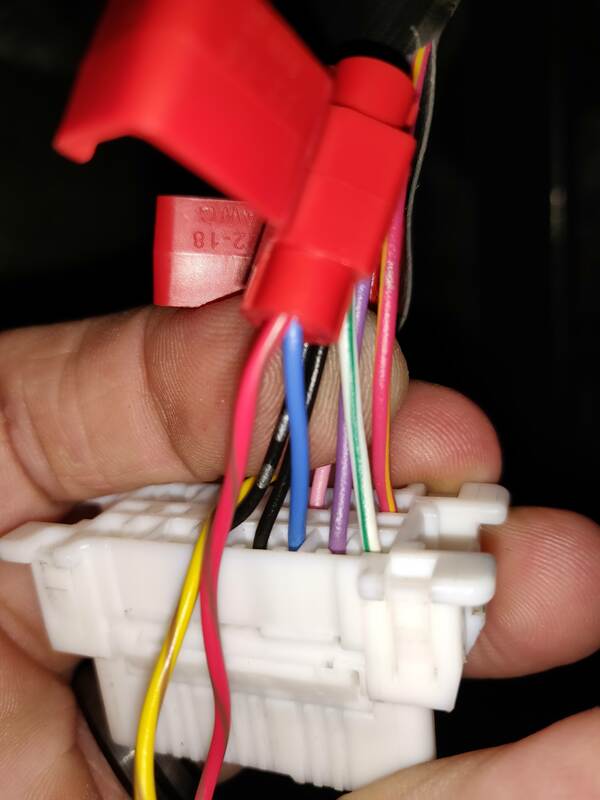 Also, none of the colors in the wiring diagram match up with my connections behind the radio. I used this thread as a reference, as this guy got his Steering Wheel controls working with a different module, so I figured that these would apply to mine as well. 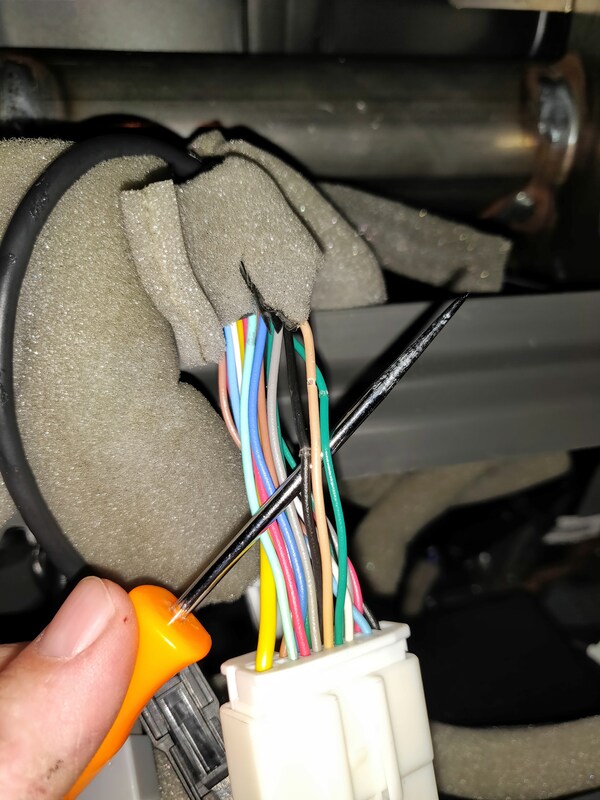 When I had everything wired up, my head unit would start, but then it would give the error "MISWIRING DC OFFSET" which I learned means there's a short somewhere, so I disconnected the three SW wires and it started right up, just without the steering wheel controls. Also, the OBD connections refused to work. The Kenwood sees the Maestro, I can go into its settings, and even reset it, but if I go into gauges, nothing is selectable and it will ask me to connect OBD2. Below are pictures with my best description of how they were wired. I really hope you can help me, there are other modules out there that will work for steering wheel controls, but I really like the OBD2 functions that the Maestro RR provides. Here are the three wires I connected the SW controls too. I know this is a lot of info, I'm hoping to provide enough info so that you can help, as I don't want to have a $100 module that I cannot use. So for SWC you are on the wrong wireand are connected to one of the speaker wires hence the reason you are recieving the message "MISWIRING DC OFFSET". You should be connected to pins 6,15 and 16 (Brown, Green and White) and remove those scotch locks. You should be stripping the insulation on the wire back about 1/2" wrapping the wire together and soldering them for the best connection when we are talking about a MUX or DATA wire. 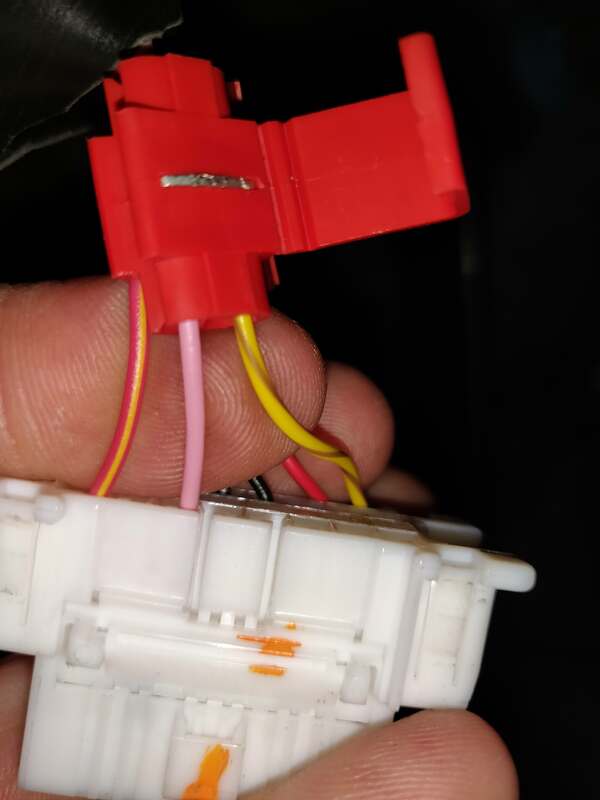 As for the gauges fix the wire connections as i had mentioned and verify that your red wire from the MRR is not connected to anything and that you have the grey/red wire going to the vehicles ACC 12V wire. I actually figured out the SW control issue after posting, but was unable to update since the post hadn't been approved yet. The taps I was only using for testing purposes before making it more permanent. I actually ended up pinning those three wires in the addon harness and it SW controls are working fine now. The red wire from the RR is not connected to anything, just wrapped and zip tied. I'll double check the gray/red wire, but I believe that it is connected to the 12v accessory. Correcting the obd2 wires fixed this issue, thank you!